Rita won Runner Up to Best In Group at Tweed show – at only 7 months old!! Also 2 x best minor in group, 1 x 1st in Puppy Sweepstakes and 1 x best minor in show! 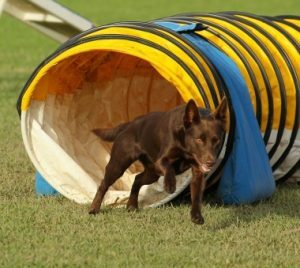 Loco made it to the finals at the agility Nationals!! 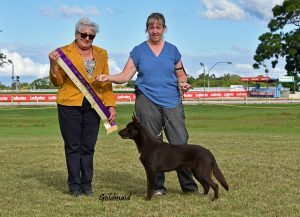 Vixen won Runner Up To Best In Group at Macksville Show and those 15 points gave her enough points for her Australian Championship. 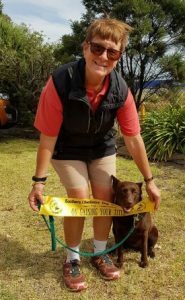 Ruby got her RN title yesterday and her FS.S (Dances With Dogs) title today, making her Neut Ch Callicoma River Runs Red ADX ADO JDX JDO2 GDX SD SPD HT RN FS.S – quite an unbelievable achievement! 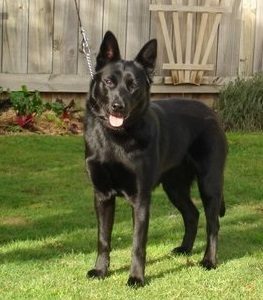 Kuba became an Australian Champion at only 12 months and 2 weeks old! We have Valentine’s babies! 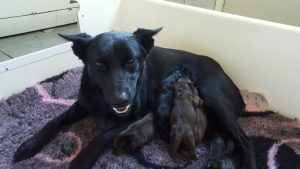 Alice had 6 puppies to Liquorice. 3 chocolate boys, 2 black girls, 1 chocolate girl. Chilli had 7 puppies to Harry (the old boy still has it!). 5 girls and 2 boys – all chocolate. I have become a Certified Canine Fitness Trainer 🙂 I have been studying all of 2017 with the University of Tennessee. 6 months of online study, a trip to Tennessee for my practical studies, completed 3 Case Studies and then my final exam – and I passed !!! 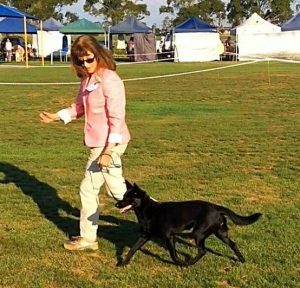 Chilli gained the final points for her title, winning 3 x Best of Breeds this weekend. 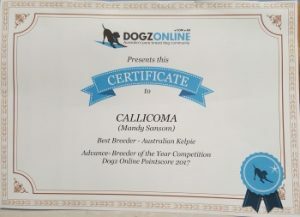 Rio won 6 x Best Puppy In Group, 1 x Best Puppy in Show and 3 x Best of Breeds this weekend, Ruby won 1 x Best Neuter in Group and 1 x Runner Up to Best Neuter in Group, and Jack (Rio’s brother) won 2 x Best of Breeds and 1 x Best Puppy in Group – all on the same weekend! Spice had seven babies to Liquorice. Mandy becomes our first ever NZ Champion! 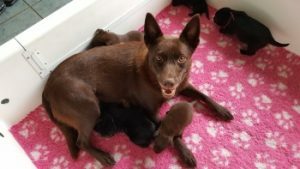 Marj has 10 puppies to Iver – 6 boys and 4 girls. 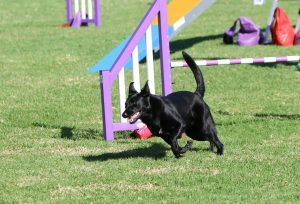 Spice had 6 runs at Coffs Harbour dog agility trial, for 4 x 1st place, 1 x 2nd place, 1 x 4th place. This gave her her AD (Agility Dog), her JD (Jumping Dog) and her GD (Gamblers Dog) titles! Only 3 weeks after gaining her Rally Novice title Nina gained her Rally Advanced Title – again with 3 first places! !